Fiesta 7 Pc Steak Knife Set Only $39.99 At Kohl's Originally $79.99! You are here: Home / Great Deals / Fiesta 7 Pc Steak Knife Set Only $39.99 At Kohl’s Originally $79.99! Fiesta 7 Pc Steak Knife Set Only $39.99 At Kohl’s Originally $79.99! New promo code at Kohl’s creates some great deals on Home Items! 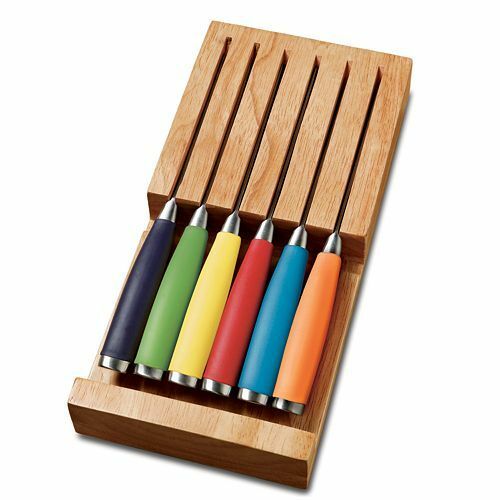 This Fiesta Steak Knife set is originally priced at $79.99 but is currently on sale for $59.99! Get $10 off a Home $50 Home item. Stack with the Friends and Family Sale of 20% off your purchase. Get the Fiesta 7 Pc Steak Knife Set for Only $39.99 At Kohl’s! Buy online and pick up in store! Use promo code HOME10 and FAMILY20 at checkout to get your extra savings! !